Commercial rubber roof installation with a Modified Bitumen Torch Down Roofing system direct over a gravel embedded roof. A Two-Ply Modified Bitumen Torch Down Roofing system is the only system that can be installed directly to any tar build-up roof even if it has gravel embedded on the surface. This method will last over 40 years with little maintenance. All other roofing systems as in EPDM rubber or TPO vinyl have to have a fiberboard base to protect against punctures. We have been installing rubber roofs over gravel for over 20 years. Every Modified Bitumen Torch Down Roof comes with a 40-year warranty. The gravel or stone that is between the old roof and the new rubber membrane we have installed, serves as insulation. The air trapped between the two roof layers makes an excellent insulator. Flat Roof Installation can become very costly if the wrong materials and choice of roofing contractor are used. 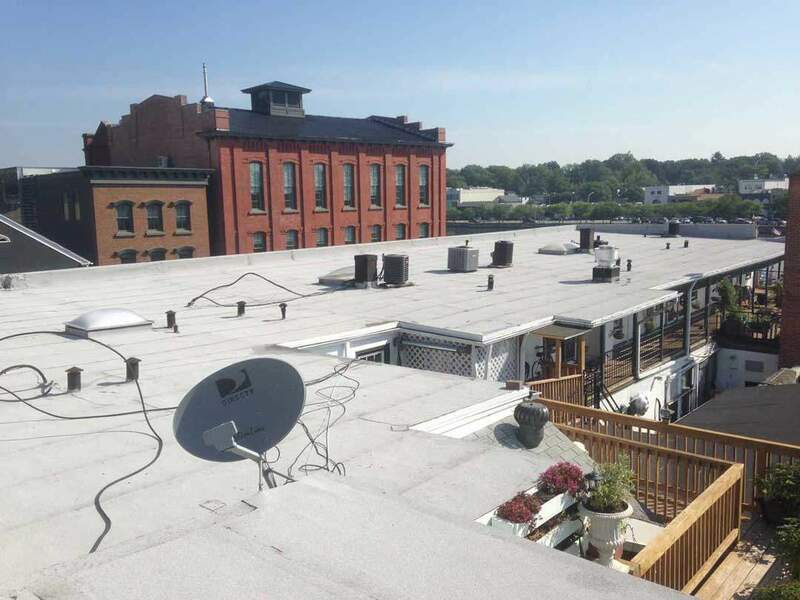 Over the years most contractors have leaned towards EPDM Rubber roof systems. Today it is the most common roofing system on the market. it is also the worst because the adhesives fail and they yet have to find the right formula after 40 years. Just because most roofing contractors prefer to install EPDM rubber roofing systems, doesn’t mean its the best. We have evidence of 20 years and more of EPDM Rubber roof failures. This is what the Two-Ply Modified Bitumen Torch Down looks like after installing it directly over tar and gravel. Watch the video in the next segment where we explain how we did this roof installation over a commercial roof. This video explains about the different systems and how we applied the 2 Ply Roofing System. We installed the 2 Ply Torch Down System over many gravel roofs. No matter the traffic and people that work on it over the years, they all are still going strong. There are several techniques and materials used for installing a roof. Every roofer has his technique and preferred materials. Some are good, and some don’t last. 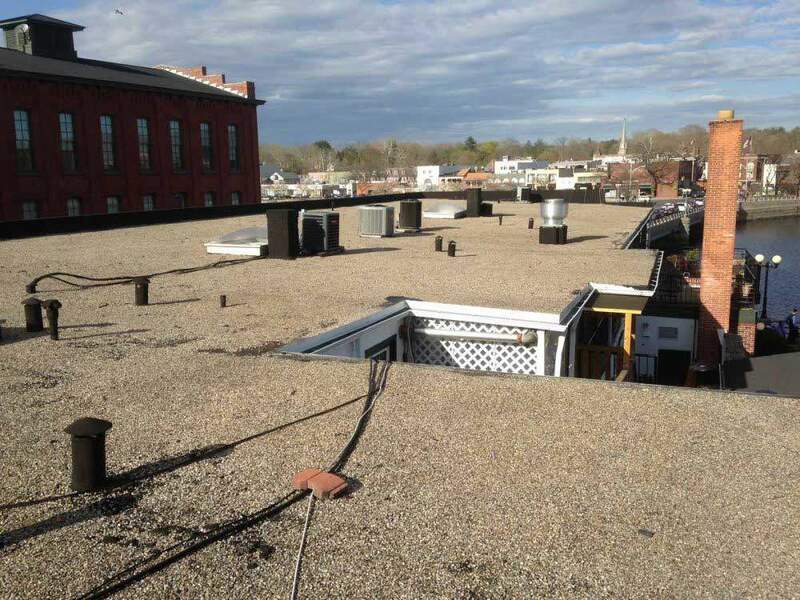 There are steps that any Do-It-Yourselfer can take to install an inexpensive, yet durable, rubber membrane on a Tar and Gravel Roof. This type of installation over a tar and gravel roof will only be possible with Modified Bitumen Torch Down 2-Ply membrane. It is essential to use fiber base paper and screw it down with base plates and screws. The self-adhering base will lie flat and stick to the fiber base. If the flashing is part of the tar and gravel roof, you need to clean that first. Use a flat bar and a hammer to chip away the old roofing material. Once you have it reasonably clean, you can straighten the flashing by pounding it with a hammer and nail it down using regular roofing nails. In this video, we only show the installation of a single ply Modified Bitumen Torch Down Roof. It will work but we do not advice to do that. The flat roof doc was very helpful! He answered any questions I had about repairing a flat roof! I highly recommend! Thanks for the images. This shows what you did by cleaning up the parapet wall. Good job.